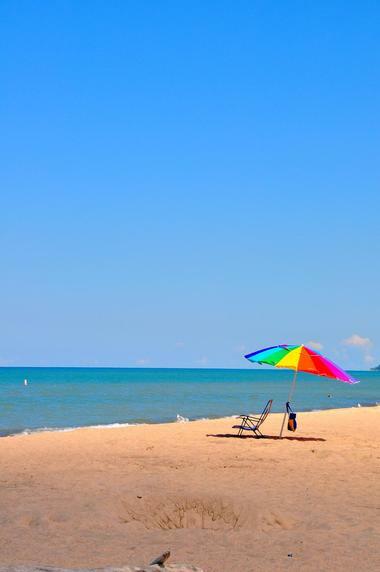 Relaxing on the pristine beaches of Michigan might be one of the best ways to spend your summer months. From pebbled shores to golden sands and busy boardwalks to isolated islands, the beaches offer something for everyone. Most of the beaches are situated along the azure waters of Lake Michigan, which is crystal clear and refreshing to cool off in. 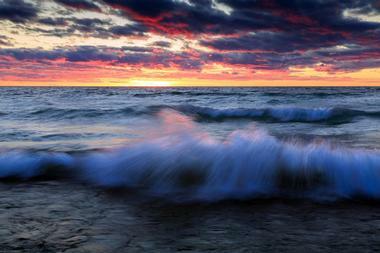 Here are the best Michigan beaches to visit on your weekend getaway. With over two and a half miles of shoreline, the Saugatuck Dunes State Park Beach is a secluded strip alongside Lake Michigan. The day-use only beach and park has fresh water coastal dunes that are over 200 feet tall and varies from rolling hills to steep slopes, making it a fun and adventurous place to explore! Beach visitors can dine in any of the numerous nearby restaurants or get souvenirs to remember their trip to Michigan. 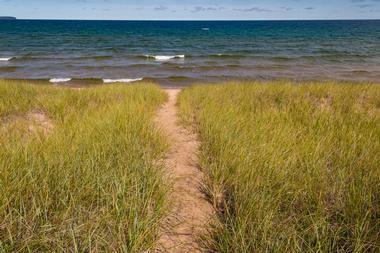 Activities include boating on to Lake Michigan, picnicking in the picturesque area, and hiking the scenic trails. Located in Grand Haven, Michigan, Grand Haven State Park Beach is a 48-acre state park with a stunning view and beach access to Lake Michigan and the Grand River and harbor. Visitors can enjoy an array of activities, from fishing on the pier and swimming to picnicking in the designated picnic areas and shelters. There is a boardwalk near the harbor filled with restaurants and shops brimming with souvenirs, trinkets, and beachside necessities. Other site facilities include a playground, hiking trails, and a modern camping site fitted with a three-bedroom ranch known as the Grand Haven Lodge, and most of the rooms have amazing views of the lake and lighthouse. In the late 18th century, the Pittsburg and Boston Mining Company began mining and shipping copper from the local deposits, using the harbor to transport the goods. Now, the harbor is mostly used for recreational purposes such as a ferry that connects northern Michigan to Isle Royale National Park. 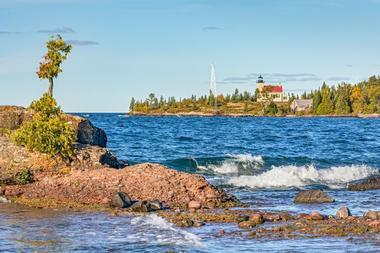 Across from the lighthouse is Copper Harbor Beach where visitors can relax on the pebbled shore and cool off in the refreshing waters. The beach is absolutely picturesque and makes for some great photo opportunities so visitors can have an amazing memento of their trip to Michigan’s beaches. North Manitou Island is steeped in history and offers visitors a solitary location that focuses on nature’s finest aspects: Lake Michigan and the surrounding trails filled with gorgeous flora and fauna. The island has over 15,000 acres for visitors to explore and offers activities such as camping, hiking, hunting, and relaxing on the stunning beaches. During the day, the island’s villages have tons of opportunities for exploration as well as a chance to meet the island’s natives, and at night, visitors can explore the eerie ghost towns that have been established on the island. Orchard Beach State Park is an amazing location with over 166 campsites located on a bluff overlooking breathtaking Lake Michigan. A staircase is built down the bluff so campers have access to the beach below. The modernized campsite includes a mini cabin, two restroom and shower buildings, and two paved sites for handicapped campers. There is also a larger area dedicated to events such as reunions and meetings. Visitors can take part in a lot of activities, including hiking on the self-guided trails, picnicking, swimming, fishing, and cross country skiing during the winter months. Also known as Nautical City and the Salmon Capital of Michigan, Rogers City is known for playing a major role in Michigan’s shipping industry and fishing and water recreation history. Visitors not only get to relax and explore the beaches, but they’ll also be near one of the largest shipping ports on the Great Lakes: The Port of Calcite is the world’s largest open pit limestone quarry. Visitors can catch some rays and some fish on the lighted fishing platform, a recent addition to the harbor. Those interested in fishing tournaments might want to plan their visit accordingly, as Rogers City hosts two salmon fishing tournaments annually. Getting its name from the location where the Manistique River and Lake Michigan meet, Manistique forms a natural harbor and beach area that locals and visitors flock to all year long. Nature lovers will enjoy walking around the trails and exploring the land, which is replete with numerous historical landmarks. Visitors looking for something more adventurous can take part in fishing, boating, hunting, camping, or even snowmobiling during the winter season. In addition, there are numerous shopping and dining options where visitors will find more than just the usual beachside souvenirs and boardwalk foods. 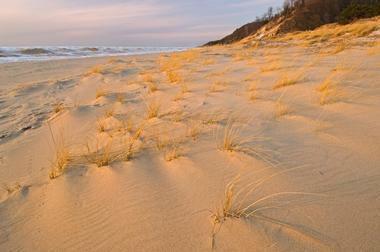 The Silver Lake Sand Dunes is a beautiful secluded beach located along Lake Michigan’s stunning shorelines. To get there, visitors must walk from Silver Lake – this takes approximately 45 minutes – or go on a short drive in an off road vehicle over the dunes. Silver Lake Sand Dunes has over 2,000 unmarred acres of rolling dunes that separate the beach area and the lake. Visitors will find the remote location is one of the best areas for a romantic getaway during their Michigan vacation; the views alone are absolutely worth the walk or drive over. Miles and miles of golden sand beaches stretch into bluffs that tower over Lake Michigan, crystal clear inland lakes, and lush forests that are filled with stunning flora and fauna at Sleeping Bear Dune National Lakeshore. Visitors can climb the dunes and appreciate the spectacular views the height offers of the surrounding island lighthouse and picturesque farmsteads in the distance. Activities include canoeing on the clear inland lakes, hiking through the forest in the self-guided trails, or bird watching and wildlife viewing at Manitou Islands. One of the most popular beaches in South Haven, South Beach Park plays an important role in the communities that surround it. It is known as being a safe, fun place for families to enjoy themselves, and visitors from all over the nation make a stop at South Beach Park during their Michigan vacation. There is a skateboard park for those who want to try and catch some air, while others can come prepared to take a refreshing swim in the water, sunbathe on the warm sand, or take in the breathtaking sunset while walking on the pier. Water enthusiasts will love a visit to St. Ignace, which is surrounded not only by the grand Michigan Lake but also by the many inland seas, abundant rivers, streams, and lakes, making it ideal for watersports of all sorts. Canoeing, surfing, river floating, water skiing, jet skiing, fishing, boating – these and many more activities can be found there. There are boat launches for those looking to get out on the water on their own, but there are also fishing charters and guided cruises that take visitors on water adventures such as lighthouse cruises or sunset cruises. 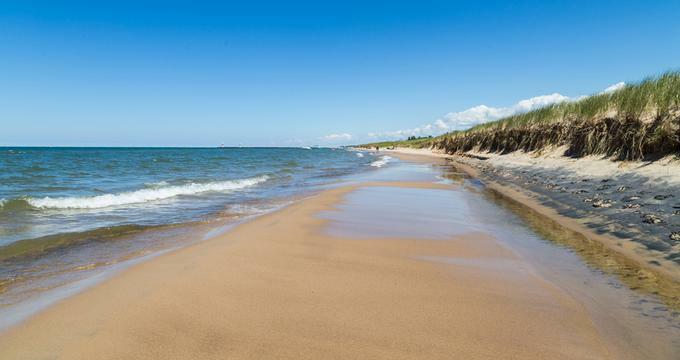 Tawas Point State Park consists of 183 acres of summertime perfection for those looking to spend their vacation with sun and sand. Often called the “Cape Cod of the Midwest,” the state park includes a designated beach with a shallow, warm swimming area, and beach side amenities and an extensive campground are located nearby. 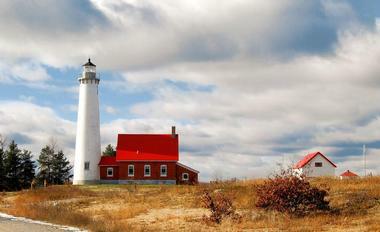 Activities include exploring the on-site lighthouse open for tours or bird watching in the park near the Lake Huron Flyaway. The state park is actually famed as a bird watchers’ paradise and witnesses over 297 species of birds migrating through the area. Open all year long, Tiscornia Beach is more than just sand dunes and shores. The beach has a fun and safe swimming area that is popular with visitors looking to spend a day under the sun. You can find access to the North Pier for fishing and enjoying the sights, sand dunes to play on and explore, and a pavilion for those memorable summer picnics with friends and family. Facilities such as restrooms and a shower area are available on the premises, but the beach is only open till 10 pm, and animals and alcohol are not allowed. 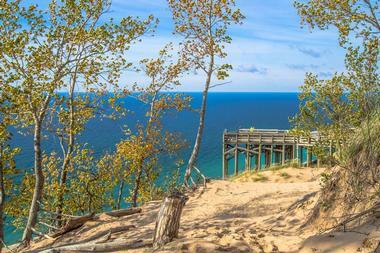 One of the most popular parks in Michigan, Warren Dunes State Park has over one million visitors annually. 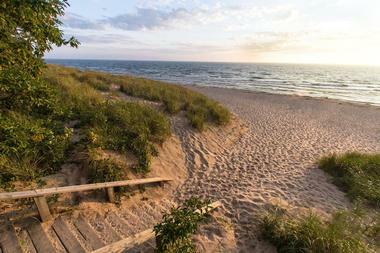 They all come to enjoy the lakeshore beaches and large sand dunes on the nearly 2,000-acre park. The dunes found throughout the park are not only visually stunning but also make for a fun climb up the slopes, only for visitors to sand board down them. Be sure not to miss out on climbing Tower Hill, the tallest sand dune in the park, as it offers a magnificent view of Lake Michigan from 240 feet above. Located on the corner of Norton Shores, Hoffmaster State Park Beach holds over three miles of the Lake Michigan shoreline. The beach begins with the Gillette Sand Dune Visitor Center and extends to the towering Lake Michigan Dunes and miles and miles of skiing and hiking trails. Visitors can stay overnight at the 293-site campground that is fitted with all of the modern amenities needed for a night of camping while enjoying stunning views of Lake Michigan. Hoffmaster State Park Beach is a wonderful location for ornithology aficionados, as migrating songbirds such as wood thrushes, warblers, sparrows, and orioles all visit the area.